While your grimoire or journal shouldn't require much care, over time leather can become stiff and may need some conditioning. 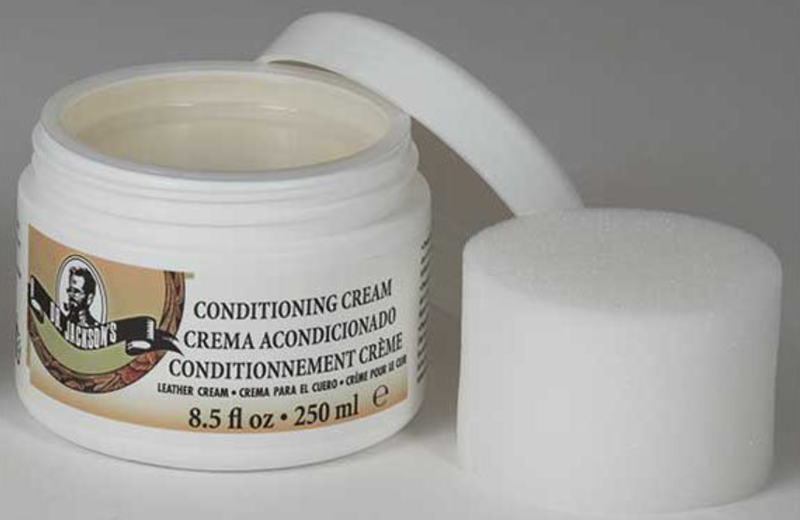 If you do choose to condition your leather grimoire, we highly recommend Dr. Jackson's Conditioning Cream. Use a soft sponge or old rag as some of the dye may come off in the process, though this should not affect the color of your grimoire. We suggest taking the grimoire/journal apart, removing the paper and cords first. Take a small amount of the conditioning cream and apply to your rag or sponge. Gently work the conditioner into the leather using a circular motion. Avoid using coconut oil or any other oil that isn't specifically designed for leather conditioning as these oils can strip the color, completely change the color of the leather al together or leave behind an oily residue. While not usually necessary, if for some reason your grimoire or journal is a bit stiff when you receive it, try opening it in the center and pressing down on each side. Like a new pair of shoes, the more you use your leather goods, the softer and more pliable they become. While we choose the highest quality veg-tan leather and condition it ourselves during the creation process, you may need to work it just a bit to get the flexibility you desire.